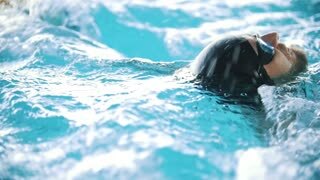 Disabled man swims on the back in a swimming pool. Slow motion. 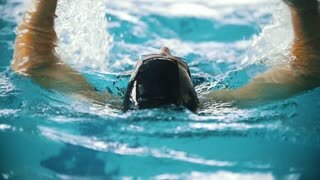 The butterfly stroke. 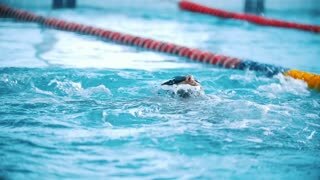 Disabled man swims in a swimming pool. Underwater shot.